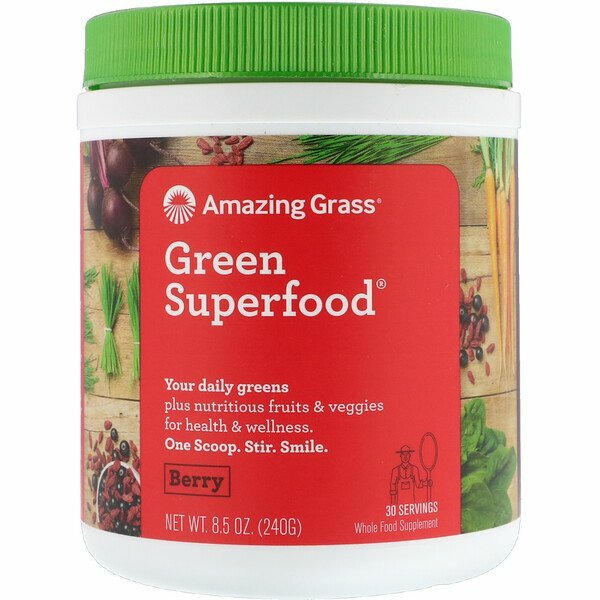 This thoughtfully crafted blend combines our alkalizing farm fresh greens and wholesome fruits and veggies plus nutrient-rich superfoods with a refreshing berry flavor for a delicious way to feel amazing everyday. We organically grow & harvest the most nutrients-rich greens on our family farm in Kansas & craft them with the highest quality, plant-based ingredients curated from like-minded farmers around the world. 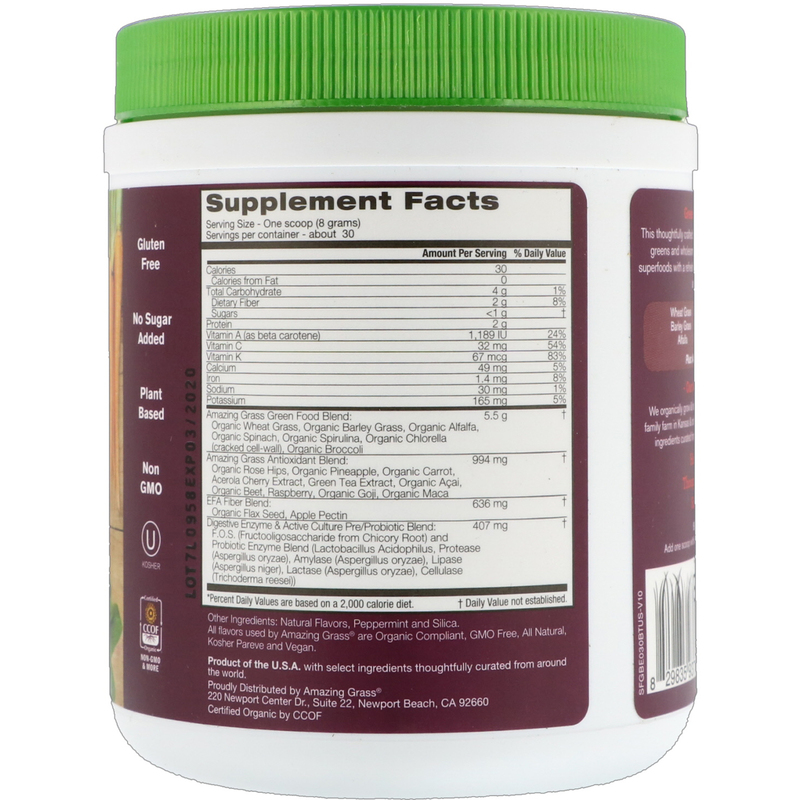 Natural flavors, peppermint and silica.